There’s no doubt that this week’s biggest deployment comes draped in a big white sheet. 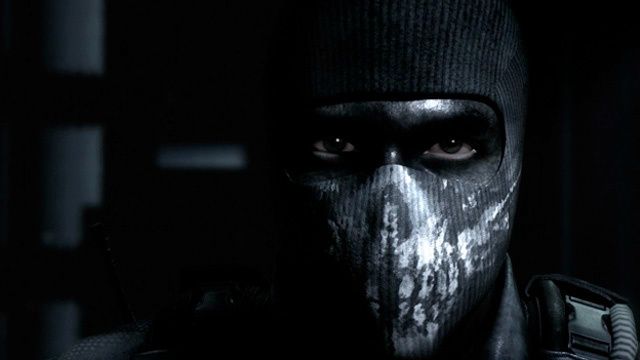 Call of Duty: Ghosts has secured a day-one digital release on the North American PlayStation Store, and is available in two packages. The Hardened Bundle – which costs a whopping $119.99 – includes the game, a bonus map, and Season Pass. Less financially endowed players can opt to buy the shooter without any extras for $59.99. Outnumbered and outgunned, but not outmatched. Welcome to Call of Duty: Ghosts, an extraordinary step forward for one of the largest entertainment franchises of all-time. This new chapter in the Call of Duty franchise features a fresh dynamic where players are on the side of a crippled nation fighting not for freedom or liberty, but simply to survive. 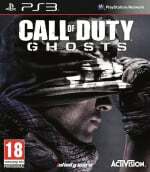 Call of Duty: Ghosts Season Pass: Get four epic DLC Map Packs*, each delivering a collection of fresh Call of Duty: Ghosts multiplayer content. 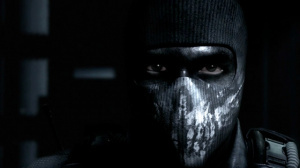 Plus, you’ll receive the Team Leader digital content pack, a Season Pass-bonus that includes a unique MP character head, weapon camo, reticle, player patch, player card and player background, playable in-game upon purchase. Ben 10 Omniverse 2 has everything fans love about the hit series: Aliens, Action, and an all-new Adventure! The fastest Ben 10 game ever puts Ben in a race against the clock to make every alien transformation count in his battle against the all-new Incursean invaders. God has never had it so rough! Meet Renya, who happened to become God through a lottery. And then, his self-proclaimed personal angel named Lilliel took him to Celestia right away. Together, they will tackle countless randomly-generated dungeons in this story-driven rogue-like RPG in order to guide the fate of all mankind to a revolution! Fight, grow strong, customize your appearance, strengthen your equipment, and then fight some more. The only limit to your strength is your imagination! Prepare yourself for another journey through series of new worlds, featuring multiple challenges with many ways to pass a level and resolve puzzles. Highly tactical, completely addictive, A-MEN 2 is easy to play but still hard to master. You are shipwrecked on an isolated island, a desperate castaway in a total freak show world. How will you survive? Collect the pages of a Survival Guide and figure it out, of course! Find food, water, and shelter before you perish. Uh oh, is it getting dark? Figure out how to get through the night! While you’re at it, gather up some of this awesome stuff and piece together over 100 handmade weapons and tools—from shotguns to Molotov cocktails. Now you can defend yourself and your friends like a boss! The Adventures of Cookie and Cream is a 3D platformer that can be played as a single- or multiplayer game. Players must guide the two cartoonish, bunny-like characters (Cookie and Cream) through parallel courses that usually scroll from the top of the screen. TuneIn lets you listen to the world’s radio with music, sports, news, talk, and comedy streaming from every continent. Enjoy 70,000 live radio stations and 2 million podcasts, concerts or shows all for free. just the vita radio app for me. I want that radio app.